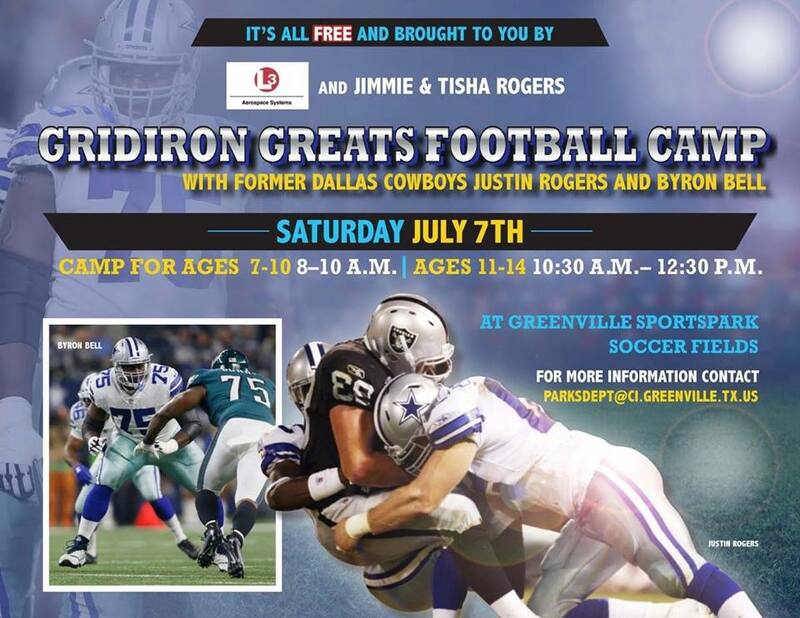 The City of Greenville is hosting a free football camp on Saturday, July 7 with former Dallas Cowboy football players, Justin Rogers and Byron Bell. 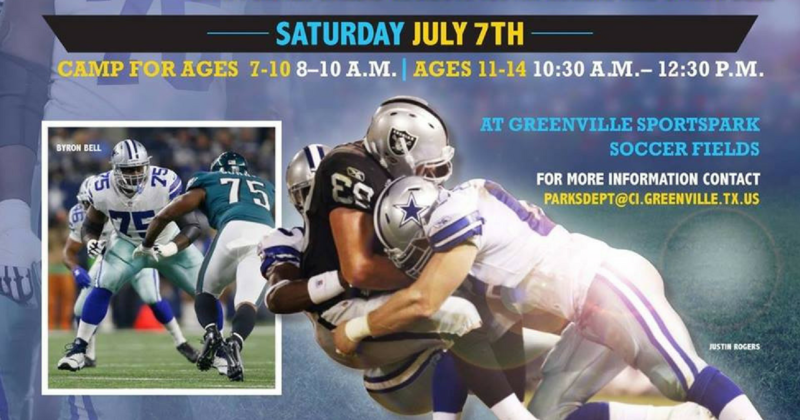 “We are very fortunate to have local high school and former Dallas Cowboys players Justin Rogers and Byron Bell on hand to give back to the kids of our community,” officials wrote on social media. Ages 7-10 || 8 a.m. to 10 a.m.
Ages 11-14 || 10:30 a.m. to 12:30 p.m.